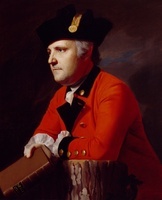 AMHERST, JEFFERY, 1st Baron AMHERST, army officer; b. 29 Jan. 1717 (N.S.?) 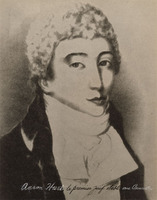 at Riverhead, Sevenoaks, England; d. 3 Aug. 1797 at his house Montreal near Sevenoaks. 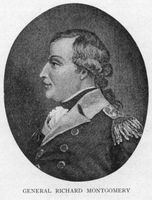 Amherst saw his first active service as aide-de-camp to Ligonier in Germany during the War of the Austrian Succession. He was present at the battles of Dettingen (Federal Republic of Germany) in 1743 and Fontenoy (Belgium) in 1745. The 1st Foot Guards’ records show that in December 1745 he was appointed captain in that regiment, a commission carrying with it the rank of lieutenant-colonel in the army at large. 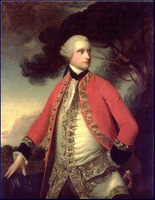 In 1747 the Duke of Cumberland was appointed commander-in-chief of the allied forces in Europe and made Amherst one of his aides-de-camp. In this capacity he served in the battle of Laffeldt (Belgium) that year. The period of peace following the treaty of Aix-la-Chapelle (1748) he spent in England, presumably with his regiment. Amherst’s first responsibility in the Seven Years’ War was acting as “commissary” in charge of the administration of 8,000 Hessian troops taken into British pay at the beginning of 1756. He went to Germany in February to undertake this task, in which his functions seem to have been largely financial, but returned to England in May with part of the Hessian force as insurance against a possible French invasion. Soon after his return he was appointed colonel of the 15th Foot. This commission did not involve taking active command of the regiment, and he went back to Germany with the Hessian detachment in March 1757. Still responsible for the Hessians, he was present at the battle of Hastenbeck on 26 July 1757 when the Duke of Cumberland was defeated by the French. 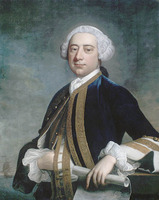 In October Ligonier succeeded Cumberland as commander-in-chief, an office which gave him, under the crown, command of the forces in Britain and a degree of direction over those in America, extending to the nomination of commanders. 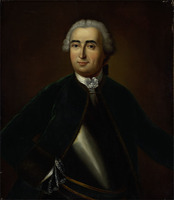 Lord Loudoun, in command in America, having failed to attack Louisbourg, Île Royale (Cape Breton Island), in 1757, Ligonier was determined to have the fortress taken in 1758, and it is clear that he saw Colonel Amherst, his former aide-de-camp, as the man for the task. The appointment to command the Louisbourg expedition was remarkable, not merely because Amherst was very junior in the army, but because so far as one can see all his operational experience had been on the staff; he had never commanded troops in action. Obtaining George II’s sanction for the grant to Amherst of the local rank of “Major General in America” was a delicate operation, in which William Pitt, secretary of state for the Northern Department, and the Duke of Newcastle, the prime minister, seem to have sought the aid of the king’s mistress, Lady Yarmouth. The king finally agreed at the end of 1757; the rank of “Brigadier in America” for James Wolfe*, one of Amherst’s designated subordinates, was authorized at the same time. Relations between Amherst and Boscawen were excellent and the cooperation of army and navy left nothing to be desired. Wolfe wrote: “Mr. Boscawen has given all and even more than we cou’d ask of him . . .” (the contrast with his comments on the navy at Quebec the following year is marked). The French ships in the harbour were gradually worn down. The frigate Aréthuse, boldly handled by Jean Vauquelin, harassed Wolfe’s force with her fire and interfered with the building of Amherst’s epaulement, but on 9 July Wolfe’s guns damaged her severely. On the night of the 14th–15th she got out of the harbour and away to France. On the 21st three naval vessels were burned. Two remained, Prudent and Bienfaisant. On the night of the 25th they were (to quote Wolfe again) “boarded by the boats of the [British] fleet with incredible audace and conduct, and taken under the guns and within the reach of the musquetry of the ramparts.” The end was now at hand. The Dauphin demi-bastion on Wolfe’s flank had been breached and an assault was practicable. 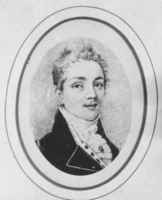 On 26 July the governor, Drucour [Boschenry*], asked for terms. Amherst and Boscawen replied that the garrison must become prisoners of war, and demanded an answer within an hour, failing which the town would be attacked by land and sea. After some painful discussion among the French officers, Drucour accepted, and the British occupied Louisbourg on 27 July. The French battalions, denied the honours of war, handed over their arms and colours. Drucour agreed that the French forces in Île Saint-Jean (Prince Edward Island) should be included in the capitulation. Amherst’s conduct of the siege was marked by the thoroughness and deliberation that became his trademarks. 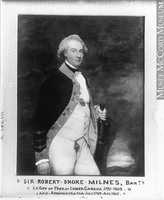 Wolfe, who in general respected Amherst, wrote, “our measures have been cautious and slow from the beginning to the end, except in landing where there was an appearance of temerity.” Amherst wrote to Pitt on the day his troops entered Louisbourg, “If I can go to Quebeck I will,” but there had never been much likelihood of attacking both Louisbourg and Quebec in one summer. 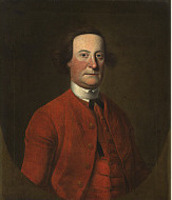 Boscawen decided it was too late in the season, and the news of the reverse suffered by James Abercromby, the commander-in-chief in America, before Fort Carillon (Ticonderoga, N.Y.) on 8 July led Amherst to resolve to move to his assistance with five battalions. 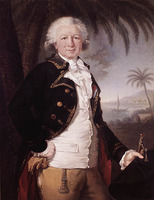 At the same time he sent detachments under Wolfe to destroy French settlements in the Gulf of St Lawrence and under Lord Rollo* to take over Île Saint-Jean; Colonel Robert Monckton was ordered to lay waste the communities in the Saint John valley (N.B.). Leaving a garrison at Louisbourg under Whitmore, Amherst sailed for Boston. There the grateful citizens attempted to make his whole force drunk,’ and in great part succeeded. Amherst extricated his five battalions, marched them across country to Albany, New York, and himself reported to Abercromby at Lake George (Lac Saint-Sacrement). It was agreed that there could be no further action in that sector that year. 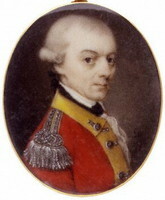 Amherst made his way back to his own area of command at Halifax. 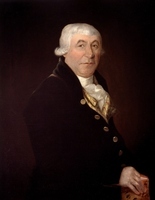 There on 9 November he heard that Abercromby’s defeat had led to that general’s recall, while his own success at Louisbourg had made him commander-in-chief in America. He now went to New York, where he spent the winter making plans and logistic arrangements for the campaign of 1759. It was clear to Amherst that there should be a double attack on Canada. It was necessary, he wrote to Lord George Sackville in January, “to lay the axe to the root, and there are but two roads to get to it, one up the River St Lawrence to Quebec, and the other to Ticonderoga and Montreal, we must go both to be sure of prospering in one, and whichever of the two succeeds, the business is done.” In London Pitt and Ligonier had already reached the same conclusion, and Wolfe, who had returned to England, was appointed to command the expedition up the St Lawrence. 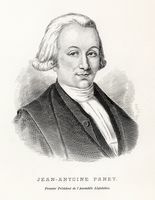 Although formally subordinated to Amherst, his command would in practice be independent, for communication with Amherst would be virtually impossible. On 29 Dec. 1758 Pitt sent detailed orders to Amherst. Much attention was given to Wolfe’s enterprise and the measures to be taken in preparation for it. Amherst was also directed to invade Canada from the south with an army of regular and provincial troops: “by the Way of Crown Point [Fort Saint-Frédéric] or La Galette [at the head of the St Lawrence rapids], or both, according as you shall judge practicable, and proceed, if practicable, and attack Montreal or Quebec, or both of the said places successively,” by a unified operation or with separate forces as he might see fit. His attention was directed to the importance of re-establishing the port of Oswego (Chouaguen) on Lake Ontario, and capturing Fort Niagara (near Youngstown, N.Y.). 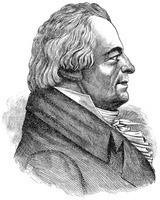 Before these orders reached him, Amherst was already “getting everything ready for a successful campaign.” “I can’t stay any longer for orders from England,” he wrote Sackville, “if I do I shan’t have time for preparing the necessary things, they will cost, but I hope I shall buy the country by it . . . .” He busied himself with obtaining from the various colonies the provincial troops that Pitt had asked them for, and with this purpose in mind made a quick visit in April 1759 to Philadelphia in an unsuccessful attempt to gain the cooperation of the Pennsylvania assembly. 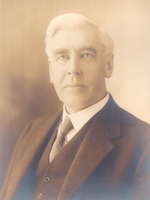 On 3 May he was at Albany preparing to open the campaign. Amherst had succeeded in mobilizing a force of some 16,000 regular and provincial troops. Of these 5,000 were allotted to Brigadier-General John Prideaux for the Oswego and Fort Niagara tasks; the rest, under Amherst himself, were to be employed in invading Canada by the Lake Champlain line. On 21 June he arrived at the head of Lake George with a large part of his army. Further advance would depend on water transport, and on sufficient naval power to overcome the French armed vessels on Lake Champlain. Large numbers of boats had been prepared, and these were dragged overland from the upper Hudson to Lake George, “batteaus on waggons and whaleboats on mens shoulders, 15 to a boat.” On 21 July the army moved down the lake in boats formed in columns, and the following day landed close to Fort Carillon. 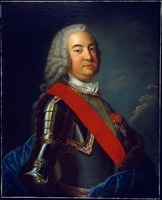 The French commander, François-Charles de Bourlamaque*, withdrew his main force from the fort, leaving a small garrison; no attempt was made to defend the advanced lines which had defeated Abercromby. Amherst began a siege in form, but on 26 July the French retreated by water, blowing up the fort. 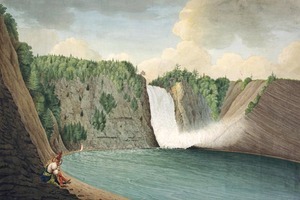 The British boats were dragged around the falls above Carillon and launched on Lake Champlain. On 4 August the army moved up the narrow south arm of the lake to Fort Saint-Frédéric, where they found that Bourlamaque had blown up the post and withdrawn to Fort Île aux Noix in the Rivière Richelieu. Amherst, who seems to have been hypnotized by the Crown Point position, began to build an elaborate fortress here (its ditches, cut out of the solid rock, are still to be seen). “This is a great Post gained,” he wrote, “secures entirely all the country behind it [i.e. to the south], and the situation and country about it is better than anything I have seen.” Yet the fortress had little relevance in existing circumstances; the French had lost the initiative in North America. Information that Bourlamaque had four armed vessels at the north end of Lake Champlain led Amherst in September to enlarge his plans for a flotilla of his own. His naval assistant, Captain Joshua Loring, was already building a brig; now a large radeau or raft, capable of mounting heavy guns, was undertaken. An attempt to burn a new French vessel at Île aux Noix was unsuccessful, and it was decided to build a 16-gun sloop as soon as the brig was completed. Progress with this building program was slowed by repeated breakdowns of the one available sawmill. Finally, on 11 October, the imposing formation of craft carrying Amherst’s army started down the lake, with the radeau, Ligonier, leading. Loring with the brig, Duke of Cumberland, and the sloop, Boscawen, went in search of the enemy’s ships; on the 13th the French commander, Joannis-Galand d’Olabaratz, sank two of these to avoid capture and ran a third ashore. But on the 18th Amherst heard of the fall of Quebec a month before. 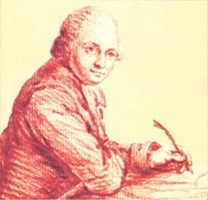 He wrote in his journal, “This will of course bring Mons de Vaudreuil [Rigaud] & the whole Army to Montreal so that I shall decline my intended operations & get back to Crown Point.” On this somewhat inglorious note his year’s campaign ended. The vital importance of naval control of Lake Champlain is of course beyond doubt, and the long process of building vessels was clearly the reason for the failure to obtain better results. 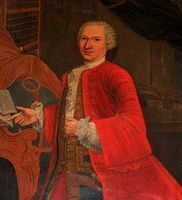 Nevertheless, it is difficult not to feel that during the long summer of 1759 Amherst did not keep sufficiently before him what should have been his main object, assisting Wolfe’s operations at Quebec. 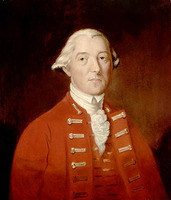 The capture of Fort Niagara – effected on 25 July, after Prideaux had been killed, by Sir William Johnson – immediately led Montcalm* to weaken his army at Quebec by sending troops west. Amherst’s own cautious and ponderous operations had no such effect. More energy and more effective improvisation on his part might well have ended the war in Canada in 1759. As it was, another year’s campaign was necessary. Pitt’s orders for 1760 indicated the capture of Montreal as “the great and essential object,” and Amherst was instructed to invade Canada “according as you shall, from your knowledge of the Countries, thro’ which the War is to be carried, and from emergent circumstances not to be known here, judge the same to be most expedient.” He decided on a three-pronged attack: James Murray with the Quebec garrison moving up the St Lawrence, Brigadier-General William Haviland proceeding from Crown Point up Lake Champlain, and Amherst himself moving down the St Lawrence from Lake Ontario. The French would thus be obliged to divide their limited forces, and would be denied any possibility of retreat into the interior such as they had made after the battle of the Plains of Abraham. Again large forces were requisitioned from the colonies. Amherst’s own army, over 10,000 strong, was by far the largest. As in 1759, the winter and spring were devoted to logistic planning and preparation. Large numbers of bateaux and whale boats were built. The late arrival of the provincial troops, who provided the labour to move the boats and supplies, delayed the opening of the campaign, but from mid May great quantities of provisions were moving up the waterways and over the portages to Lake Champlain and Amherst’s advanced base at Oswego. On 9 July Amherst himself arrived at Oswego, and on the 14th two armed snows built by Loring at Niagara during the winter were sent east in the hope of capturing two French vessels similarly constructed. 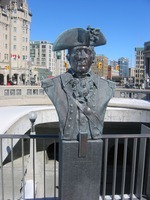 On 10 August Amherst embarked his army in boats and began the movement against Montreal. After the French vessel the Outaouaise was captured on the 17th by “rowgalleys” manned by the Royal Artillery under Colonel Williamson, the one man-made obstacle impeding the advance was Fort Lévis (east of Prescott, Ont. ), on an island at the head of the rapids. Amherst besieged it formally, landing his artillery to bombard it. Captain Pierre Pouchot*, the French commander, made a determined defence, but the fort was battered into surrender on 25 August. The advance on Montreal now continued. Amherst lost 84 men drowned in the rapids on 4 September, but effective human resistance was at an end. On the 6th his army landed at Lachine on the island of Montreal and encamped before the city. Haviland had occupied Île aux Noix on 28 August and was now on the south shore of the St Lawrence opposite Montreal; Murray, having moved up the river without meeting serious opposition, was in position just below the city. Amherst wrote, “I believe never three Armys, setting out from different & very distant Parts from each other joyned in the Center, as was intended, better than we did.” Striking it was; but it must be said that the precision of the junction owed something to luck. The French defenders of Montreal were in an impossible situation. The Canadian militia had virtually all deserted, and the army at Vaudreuil’s and Lévis’s disposal had shrunk to little more than 2,000 men. The British forces amounted to 17,000. Vaudreuil asked for a suspension of operations, pending news from Europe. 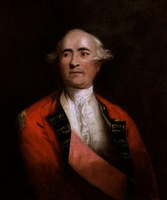 Amherst “said I was come to take Canada and I did not intend to take anything less.” As at Louisbourg, he refused the French the honours of war, on the ground of the atrocities committed by their Indian allies. The French battalions burned their colours rather than give them up. Montreal, and with it Canada, was surrendered to Amherst on 8 Sept. 1760. The conquering general visited Quebec, with its already famous battlefields, before returning to his headquarters at New York. Though the fighting with France in North America was virtually over, the war was not. 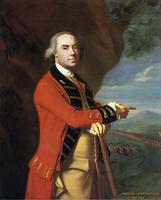 Amherst as commander-in-chief was concerned with organizing expeditions against Dominica and Martinique in 1761 and in 1762 he sent a contingent to take part in the attack on Havana, Cuba. 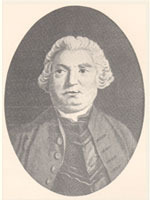 In August 1762 he dispatched his younger brother William with a hastily collected force to recover St John’s, Newfoundland, from the French under Charles-Henri-Louis d’Arsac de Ternay. News of peace in Europe came early in 1763. 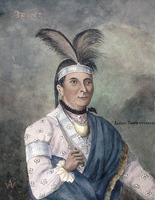 Almost immediately, however, Amherst began to receive from the west reports of Indian attacks which were the opening shots of Pontiac*’s uprising. Amherst’s dislike and contempt for the Indians are amply reflected in his journals and correspondence, though it may perhaps be doubted whether he was more bigoted than the average official of his time. As soon as active hostilities with France were over, he had begun to economize on presents to the tribes, though people closer to the problem (notably Sir William Johnson) believed that continued generosity would be better policy. 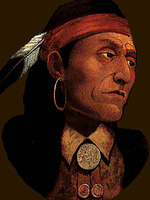 Amherst wrote Johnson that he did not believe in “purchasing the good behavior, either of Indians, or any others”; “When Men of What race soever, behave ill they must be punished but not bribed.” As commander-in-chief Amherst was responsible for Indian policy, and his attitude doubtless contributed to producing the outbreak of 1763. He was slow to believe that the trouble could be really serious; he underestimated the Indians’ capacity for military action. Nevertheless, there is no evidence that these views in any way delayed measures to deal with the rising. The moment he heard reports of “bad designs” among the tribes he put the inadequate force of regulars available in the east on the road to the threatened areas; when on 21 June he heard of Pontiac’s blockade of Detroit [see Henry Gladwin] he wrote, “As I have made all preparations I am able to do, I had nothing remaining to be done on the receipt of this news.” He did however make to Colonel Henry Bouquet the “detestable suggestion” (Francis Parkman’s phrase) that smallpox might be introduced among the dissident Indians. Bouquet cheerfully offered to try to infect them with blankets, and perhaps as a result of Bouquet’s orders an attempt was indeed made to do so with infected blankets and handkerchiefs. Early in August Bouquet’s column marching to relieve Fort Pitt (Pittsburgh, Pa) inflicted a serious reverse on the Indians at Bushy Run. 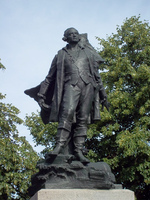 Amherst had thought of taking the field himself in 1764, but in fact he embarked for England, after over five years in North America, in November 1763. He wrote to a friend in the following February, “I may tell you for your own information only, that I have no thought of returning to America.” And indeed, though he was to have many opportunities, he never again visited the continent where his name was made. His successes in America had won Amherst honours, though these honours were not extravagant by the standards of those days. In September 1759 he had been made governor of Virginia. He never functioned actively in this office, and it was well understood that the position was a mere sinecure, worth some £1,500 a year. The appointment of commander-in-chief in America brought him the office of colonel-in-chief of the Royal Americans (60th Foot), in addition to the colonelcy of the 15th Foot which he retained. 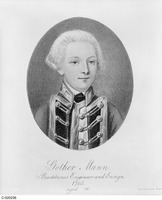 He was made a substantive major-general in 1759 and a lieutenant-general in 1761. In the latter year he was made a knight of the Bath. After the death of his elder brother Sackville in 1763 he built a new country house, which he named Montreal, on the family estate near Sevenoaks. He does not seem to have been actively employed in the army at this period, but he declined successively the office of master general of the Ordnance in Ireland and the command of the forces there. In 1768 growing colonial discontent led King George III to the conclusion that there should be an active governor in Virginia, and Amherst was given the choice of going there or resigning the governorship and accepting an annuity instead. He took offence, rather unnecessarily it seems, and resigned his colonelcies. 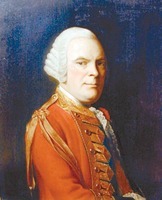 He was shortly reappointed to them, being given the 3rd Foot, a more lucrative appointment, instead of the 15th, but the rift with the king was fully closed only when he was made governor of Guernsey (1770) and lieutenant-general of the Ordnance (1772). In the absence of a commander-in-chief, this latter office seems to have made him in effect the king’s chief military adviser. 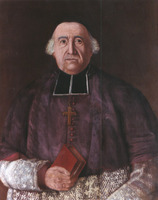 In 1769 it was suggested to Amherst that he try to obtain a grant of the Jesuits’ estates in Canada. The Jesuit order had been suppressed in France in 1762–64, and was in a state of suspended animation in Canada until 1775 when it was finally suppressed there too and its estates vested in the crown. Amherst had applied for a grant in 1769, and in 1770 an order in council directed the preparation of a legal instrument for it. No action was taken, however, supposedly for want of a precise description of the estates. 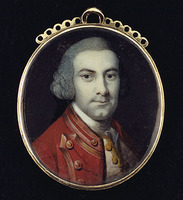 Amherst raised the question again from time to time, and in 1787 the governor of Canada, Lord Dorchester [Guy Carleton*], was instructed to make a full inquiry into the status of the lands. Some agitation followed, both English and French speaking inhabitants of the colony arguing that the estates should be devoted to the support of education. The matter remained in abeyance. Since, however, it appeared that an undertaking had been given to Amherst, the British parliament in 1803, after his death, authorized an annuity of £3,000 to be paid to his heirs in lieu of the lands he had never received. In January 1775 the king pressed Amherst to take the command in America, where war with the colonists was threatening. He declined, for reasons that remain uncertain. 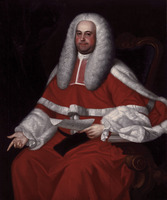 The following year he was raised to the peerage as Baron Amherst of Holmesdale. In 1778, on the urging of his ministers, the king again asked Amherst to take the American command, and again he refused. Later that year he was appointed in effect commander-in-chief, although it appears his actual title was general-on-the-staff; the Army list shows his rank of general as dating from 19 March 1778. In June 1780 he had the task of restoring order when London was devastated by the Gordon riots. He was dismissed from his command when Lord North’s ministry went out of office in 1782. 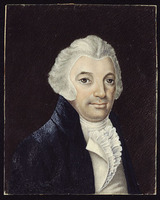 At the beginning of 1793, when war with France was approaching, Amherst, though now 76 years of age, was recalled and appointed commander-in-chief with a seat in the cabinet. He retired again two years later, being succeeded by the Duke of York. 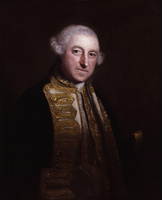 Promoted field marshal as of 30 July 1796, he died on 3 Aug. 1797, and was buried in the parish church of Sevenoaks. In May 1753 Amherst had married his second cousin, Jane Dalison. The marriage was childless. Jane appears to have had neurotic tendencies and Amherst probably was not an ideal husband. The fact that he had an illegitimate son, apparently born shortly before his marriage, of a mother whose identity is uncertain, may have contributed to estrange them. This son, also called Jeffery Amherst, rose to the rank of major-general and seems to have died in 1815. In 1760 Amherst told Pitt that while passing through England en route to Louisbourg in 1758, he had “made a promise” that no inducement would keep him in America willingly once the war was over; this promise was clearly made to his wife. When he returned in 1763, however, her depression had deepened into derangement, and she died in 1765. In 1767 Amherst married again, his second wife being Elizabeth, daughter of General George Cary. This marriage too was childless. Amherst’s heir was his nephew, William Pitt Amherst, the son of his brother William. 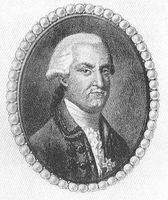 In 1788, after William’s death, Amherst obtained from the crown the title of Baron Amherst of Montreal, Kent, with remainder to his nephew. William Pitt Amherst accordingly inherited the title. After a mission to China and a period as governor general of India he was created Earl Amherst of Arracan in 1826. In 1835 he was appointed governor of Canada, but as a result of the fall of the Peel ministry in England he never took up the appointment. Amherst had an unbroken record of success as a commander, but he was a solid rather than a brilliant soldier. He never conducted a battle; the successful siege of Louisbourg is the nearest thing to it. His style was slow and heavy, as the campaign of 1759 amply showed. But he was an organizer of victory, who left nothing to chance in the fields of supply and transport, and this thoroughness was what the war in America mainly required. Sir John Fortescue said of him, “He was the greatest military administrator produced by England since the death of Marlborough, and remained the greatest until the rise of Wellington.” That judgement may well be accepted. [There are two biographies of Amherst, neither completely satisfactory: L. S. Mayo, Jeffery Amherst; a biography (New York, 1916), and J. C. Long, Lord Jeffery Amherst: a soldier of the king (New York, 1933). Mayo’s is in some ways the better book, though written without benefit of the Amherst papers, which did not come to light until 1925. Louis Des Cognets, Amherst and Canada (Princeton, N.J., 1962), is of limited value, but publishes letters not available elsewhere. 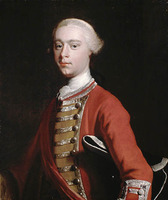 Rex Whitworth, Field Marshal Lord Ligonier: a story of the British army, 1702–1770 (Oxford, 1958), is very useful. Other printed sources of value are: Correspondence of William Pitt (Kimball); Gentleman’s Magazine, 1765, 46; 1815, 91; G.B., Hist. mss Commission, Report on the manuscripts of Mrs. Stopford-Sackville . . . (2v., London, 1904–10); House of Commons, Journals (London), 58 (1802–3); Burke’s peerage (1963); DAB; DNB; G.B., WO, Army list; Burt, Old prov. of Que. ; R. C. Dalton, The Jesuits’ estates question, 1760–1888: a study of the background for the agitation of 1889 (Toronto, 1968); J. P. De Castro, The Gordon riots (London, 1926); J. W. Fortescue, A history of the British army (13v. in 14, London, 1899–1930), II; F. W. Hamilton, The origin and history of the First or Grenadier Guards . . . (3v., London, 1874); Francis Parkman, The conspiracy of Pontiac and the Indian war after the conquest of Canada (2v., Boston, 1910), and Montcalm and Wolfe (2v., Boston, 1884; repr. New York, 1962); Shy, Toward Lexington; Stacey, Quebec, 1759; [H.] B. Willson, The life and letters of James Wolfe (London, 1909); J. M. Hitsman and C. C. J. Bond, “The assault landing at Louisbourg, 1758,” CHR, XXXV (1954), 314–30; Bernhard Knollenberg, “General Amherst and germ warfare,” Mississippi Valley Hist. Rev. (Cedar Rapids, Iowa), XLI (1954–55), 489–94 (see also 762–63); Rex Whitworth, “Field-Marshal Lord Amherst, a military enigma,” History Today (London), IX (1959), 132–37. C.P. Stacey, “AMHERST, JEFFERY, 1st Baron AMHERST,” in Dictionary of Canadian Biography, vol. 4, University of Toronto/Université Laval, 2003–, accessed April 24, 2019, http://www.biographi.ca/en/bio/amherst_jeffery_4E.html.